I live in Isla Vista. It took me a long time to admit that, since when I bought a house at 6637 Del Playa twenty years ago it was supposed to be only a research office and a place to have meetings and receptions. I didn’t eat meals there, except for lunch, and I certainly didn’t stay overnight. When I bought the house I was only vaguely aware that it was in a student area. I had lived in Berkeley for twenty years before that, so I thought I knew what that meant. But nothing could quite prepare me for the 6600 block of DP. Thank God I didn’t try to stay there overnight. I rented out rooms to students, and they had plenty of stories to tell. At first I was suspicious of my neighbors, especially on the weekends when the trash cans in the dark corner of my parking lot became a urinal. I put up a new gate, and the guys in the house promised to secure it tightly during the street party nights. Halloween was a special problem. Once when I stayed in the house on Halloween evening to protect the property the whole fence came crashing down as hundreds of revelers poured into the parking lot and tried to escape over the fence. I set up a triage station in the living room to calm down people who were trampled in the mob. But over time I felt more at home. My cape-cod style house on the ocean side of DP became known as the “professor’s house,” and people would wave as I drove by. They were good folks, the IV crowd, even if they did get a bit noisy at times. If I had meetings or functions at the house, the neighbors would turn down the sound, If it was a party, I’d invite them over to join us. I tried to be a good neighbor. I helped to create a volleyball park on what was for some years a vacant lot next door. I attended meetings of the Park and Rec Board, the only elected body in Isla Vista, to show support for their plans for community improvement. For years I advocated for a community relations board for the IV Foot Patrol to help to ease the misunderstandings between the residents and police. I have tried to let students know that they have tenants’ rights. My house was provided as the organizing place for get-out-the-vote campaigns during election times. Increasingly I became defensive about IV. 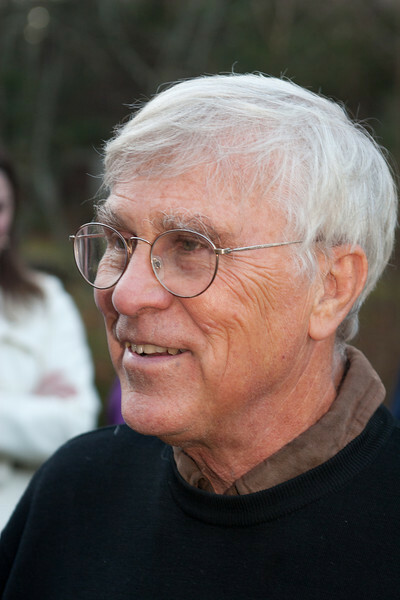 Most of my faculty colleagues lived elsewhere and the administration often took a paternalistic stance. The local newspapers often demanded regulations to control what they thought of us an unruly mob. But IV is not a mob. The people who live there, by and large, are friendly, responsible, pleasant folk. And nothing demonstrates this more than the IV community response in a time of crisis. I saw this first hand in 2001 when the community came together in unity after the tragic attack by a disturbed student who rammed his car into a crowded street a couple blocks from my house, killing four. 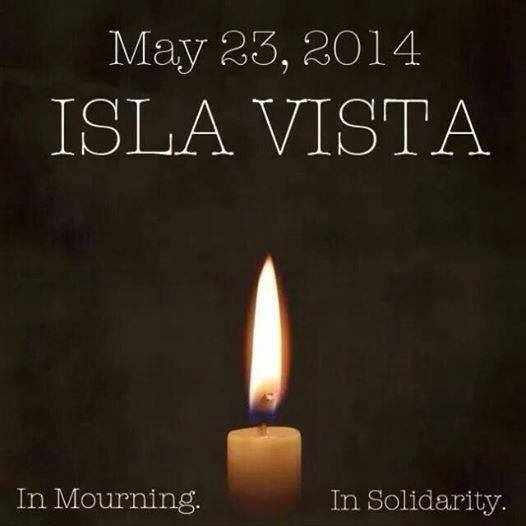 And again, this week, Isla Vista came together as a community in response to tragedy. Suddenly IV was not just a temporary residence for students in transition, it was a real community of sorrow, healing, and support. Walking over to the soccer stadium on Tuesday I passed by the places not too far from my house where the tragic events unfolded. At each place memorials of flowers had emerged–outside the Capri apartments across from the Coop, next to the 7-11 in the new buildings on the Embarcadero loop, in front of the IV Deli on Pardall, and on the lawn of the Alpha Phi house down the street from Freebirds. Each of these mounds of flowers and candles and notes constituted a shrine. They were holy sites for a community brought together in the spiritual bond created by suffering and reflection. And as I passed by each of them, walking in silence with my fellow Isla Vistans to the memorial service, I realize that I did live there. And I was proud to call Isla Vista my home.